Sign up for Broadjam today to follow Guy Michetti, and be notified when they upload new stuff or update their news! I'm Coming Home is a 4 song EP. Bonus tracks available for free download. 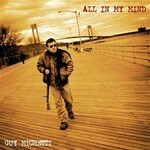 Singer/Songwriter Guy Michetti's 2nd CD is filled with unique folk/rock songs that you will remember and can sing along to. 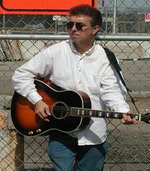 His style is a fusion of the best in American folk/rock and pop musical styles. This CD includes 2 award winning songs "All In My Mind", and "Can't You See The Lonely?" This is a CD you will want to play over and over again!